Lilydale Adventist Academy was founded in 1964 primarily as a boarding facility for families in rural Australia. For over forty years the Academy has catered for both rural and suburban families seeking quality Christian education in a peaceful and nurturing environment. Set on 43 acres overlooking Lilydale, the Academy has been developed into a serene, well appointed campus that must be seen to be appreciated. As part of the Adventist School Australia system we will support and encourage the needs of your child, regardless of religious or cultural background, and we have an emphasis on caring for all aspects of their development and growth. Lilydale Adventist Academy values and promotes the principles and practices of Australian democracy, including a commitment to elected government, the rule of law and equal rights for all before the law. We are also committed to and enjoy freedom of religion, speech and association. Within our school community the values of openness and tolerance are actively promoted and practiced. Our school is located in the Yarra Ranges. It is an ideal setting for learning and, in conjunction with Edinburgh Early Learning Centre and Lilydale Adventist Academy, the location provides a well-resourced facility for students aged 3 right through to VCE. Our school encourages families of all religions and cultural backgrounds to apply for enrolment. If you are considering the advantages of a Christian environment where the curriculum and procedures encourage the development of academic, social, emotional, spiritual and physical aspects of your child, I invite you to make an appointment to visit us. Enthused by the teaching of Jesus Christ, the Mount Lilydale Mercy College Catholic co-educational community aims to foster justice, compassion, hope and hospitality in the mercy tradition. We commit ourselves to the provision of a supportive environment where each student is encouraged to develop a love of God, of life, of others and of learning. 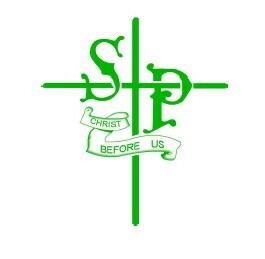 St Patrick’s Parish Primary School is located in the outer eastern suburb of Lilydale. It is a small caring community which caters for the needs of each individual. St Patrick's Catholic Primary School seeks to provide a strong educational environment which supports and encourages the learning process for the entire community – staff, students and parents alike through active involvement and rich learning experiences. Our staff of experienced professionals are committed to providing a supportive, technology-rich learning environment with a strong academic focus. Parents are encouraged to participate in the education of their children through involvement in various programs and objectives of the learning community of the school. "Character...through nurture, learning and service" is our school's vision. Our schools desire to develop students of character and our staff believe that a nurturing environment, varied and interesting learning experiences and opportunities to serve each other and the wider community, will promote positive character development. An emphasis on respect and concern for the welfare of others is promoted through every aspect of school life. A high standard of courtesy, dress, speech and integrity is promoted and expected at all times from both staff and students. 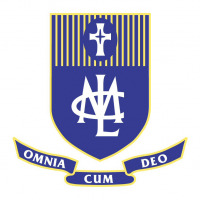 Conducted by the Sisters of Mercy since 1896, Mount Lilydale Mercy College is a Catholic coeducational College in the outer eastern suburbs of Melbourne in the Yarra Valley. The College caters for the needs of students in an environment of care, based on gospel values. In 1846, the first Mercy foundation in Australia was established in Perth. In July 1891, with sisters from Carrick-on- Suir, Country Tipperary, a convent was established at Mansfield. From that foundation, a branch house was opened at Lilydale in 1896. Mount Lilydale became a coeducational school after serving as a school for young ladies since its foundation. In 2015, the College will celebrate 40 years of coeducation. In recent years the College has undertaken a significant building and refurbishment program and a number of new buildings, including a multi-purpose Gymnasium capable of seating up to 2,000, Science, Technology (including food, textiles, wood/metal) and a Memorial Chapel. A specialist Year 7 Learning Area was completed in 2012 which is a dedicated creative space designed to cater to all aspects of transition to the College and secondary curriculum. Work has commenced on a new Master Plan to further enhance our facilities and to enable the College to continue quality education. A Not-For-Profit Community Group providing a broad diversity of classes and activities for mature adults at a minimal annual fee. Members may participate in as many classes as they wish (some classes have small additional costs for materials, etc). Courses operate throughout school terms. Our principal staff have some 20 years teaching and dancing experience within the industry. Having professionally competed and been trained by national and international coaches, they have the confidence and expertise to teach YOU. We cater to YOUR needs - whether it's a fun, relaxed atmosphere you are wanting from social, group or private classes, or a more formal approach to your understanding of dance. Teaching Social Ballroom, Street Latin, Latin American, New Vogue, Rock 'n' Roll and Funk. We cater for everyone - from social individuals and couples, to wedding parties, corporate groups and events, to medallists and the like. From school age to adults, no one is too old - you only need to have the desire to learn! Learn new dance skills, meet new people, increase self confidence and expand your social horizons. Come and enjoy one of the largest dance floors available - your style won't be cramped! See and utilize the benefits of separate rooms for classes and instruction. Experience modern day facilities - from top of the range sound system and great music, to off road sealed parking that is well lit and right outside our front door. Value for money - Sassi Dance offers more for less. Sassi Dance invites you to come along and offers new patrons their first social class FREE.